This promo card works in any Fluxx deck. 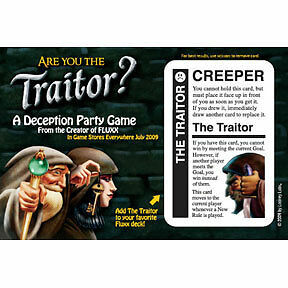 This card was published to promote the release of Are You The Traitor?. This card moves to the current player whenever a New Rule is played. ".